UNDER CONSTRUCTION NOW! HURRY ~ there still be time to pick your own colors! LOCATION! LOCATION! LOCATION! Located in the desirable SE area of Ocala, construction started on this home in January 2019 and is anticipated to be complete in summer of 2019. 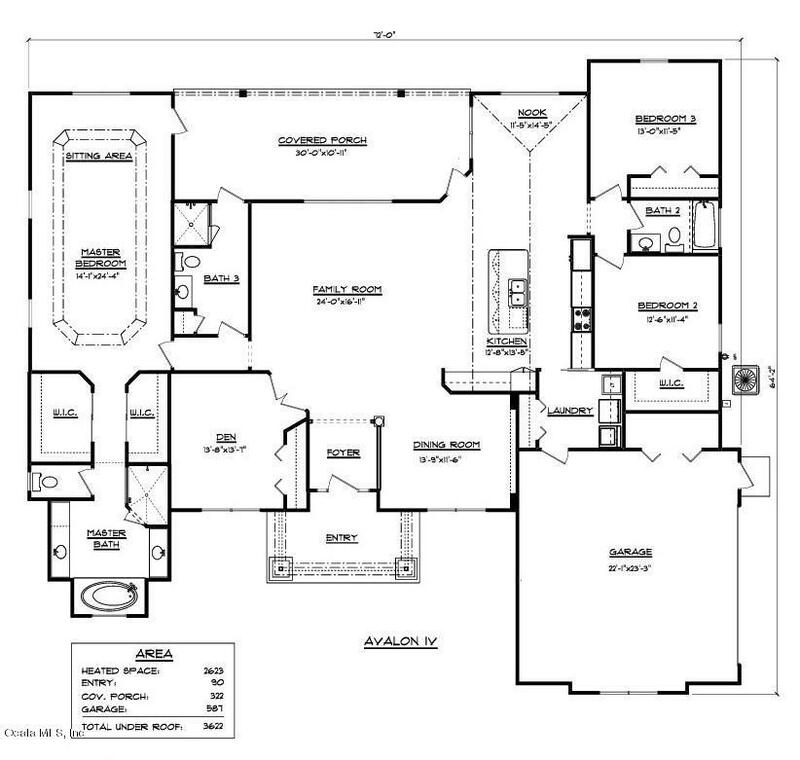 With over 2600 lvg Sq ft, this split floor plan home will feature 4 bedrooms, 3 bathrooms, spacious family room,and dining room! The master suite will be exquisite with a sitting area, tray ceiling, his and hers walk in closets and direct access to the covered porch. Relax the day away in the luxurious master bath garden tub! The master bath also features his and her vanities! The roomy kitchen is ideal for the chef or the occasional cook in the family! Enjoy family dinners in the large nook!Interior features include granite and Cambria countertops, laminate flooring and crown molding in all main living areas, upgraded carpeting in all bedrooms and ceramic tile in the baths! This home will scream curb appeal with the completed landscape, stone elevation and side load garage! The home rests on just under 1/2 acre and is large enough for a pool! The covered porch is pre-plumbed for a summer kitchen! This home is not expected to last!